Today was an exciting day. 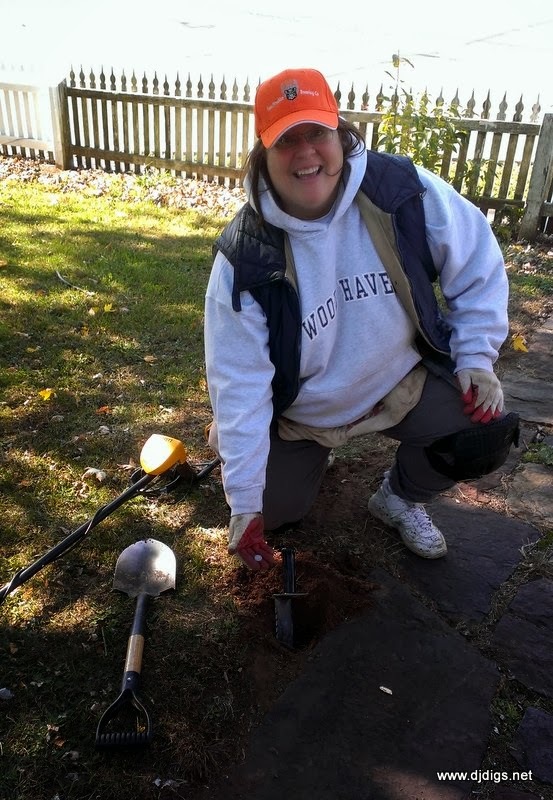 I met up with our metal detecting group, the Upper Bucks History Hounds, for a group dig. 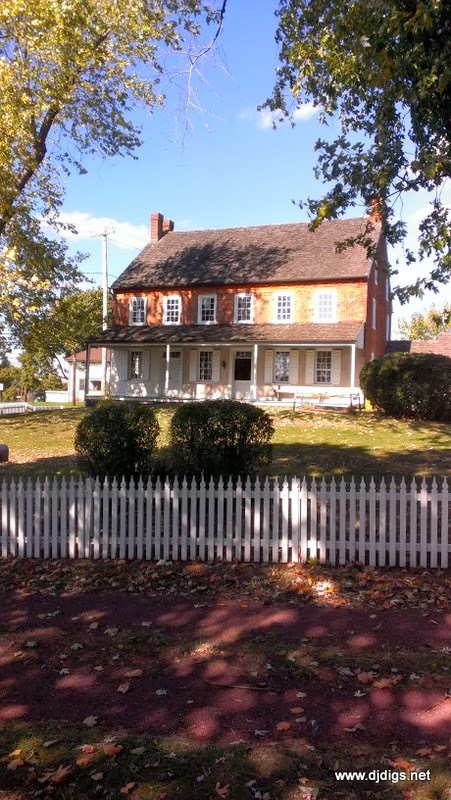 We were asked by the local historical society to come out and take a look around a few of their properties to see if we could find history buried beneath the ground. 8 of us met for breakfast early this morning. 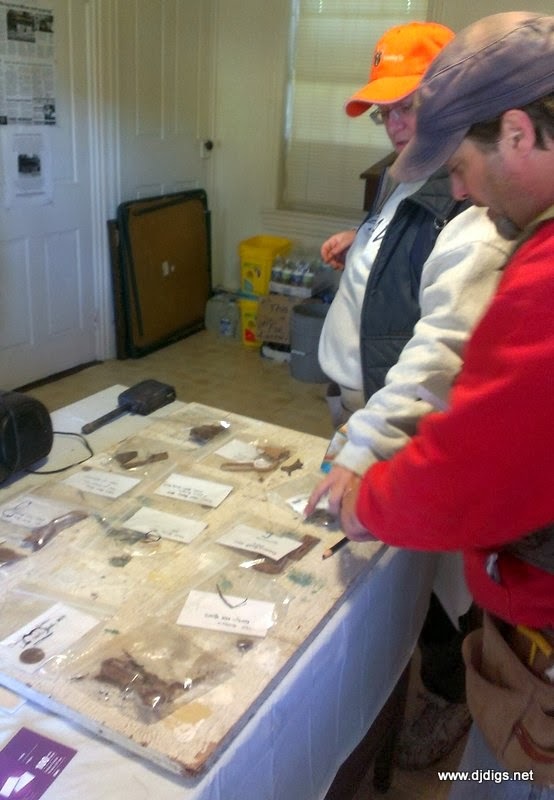 This was the first organized hunt for the History Hounds, and I was excited to be a part of it. We all were. After good conversation over good food, it was time to hit the soil. History overlapped at one of the sites, which was a log cabin in the 1700's before a homestead/store was built in the 1800's. To us, the possibilities were endless. 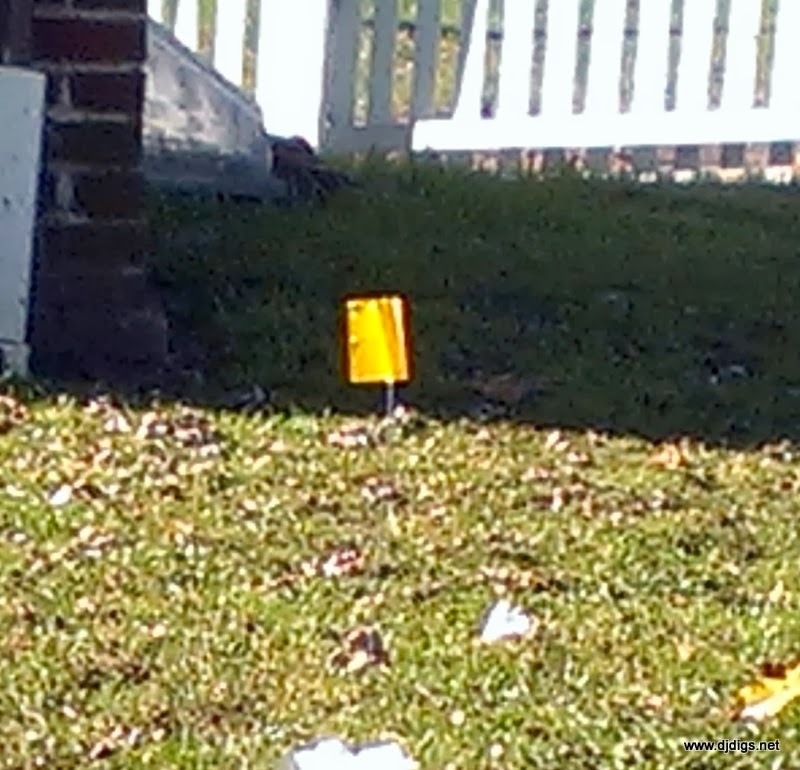 The Historical Society did mention that this site had been detected before. That didn't matter, really. At a site like this, to me, it's always worth looking. and he pulled out a nice old flat button. an old hand-forged iron hatchet. 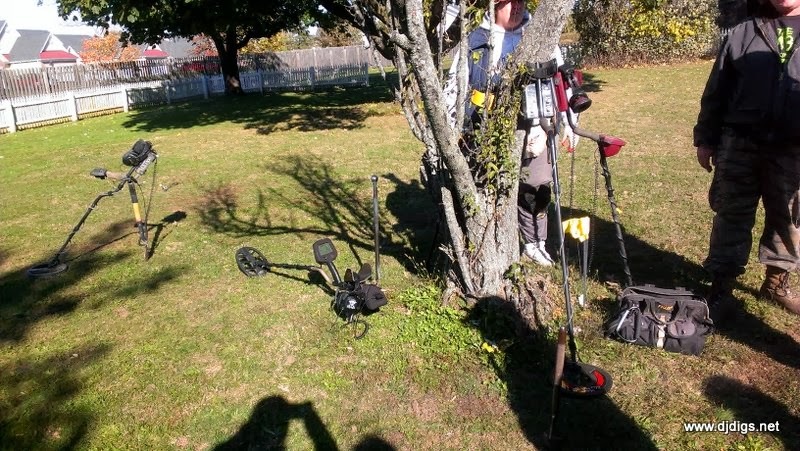 As we were digging, we would dig the find, and then "bag and flag" them. 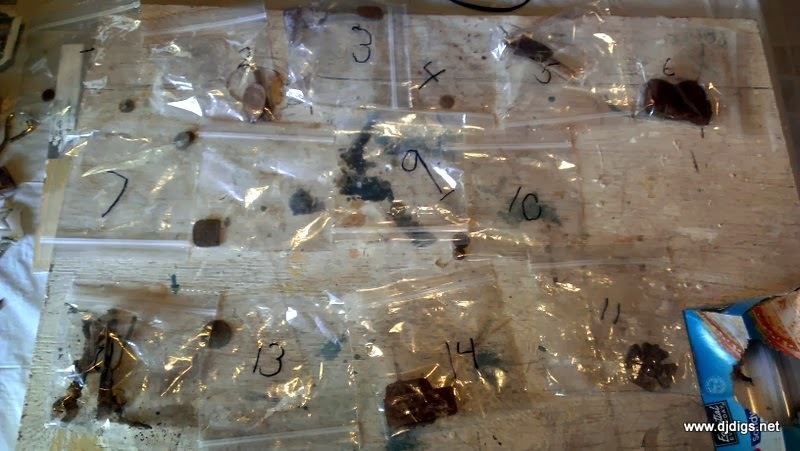 Simply put, this means that we placed the dug item in a numbered bag, and placed a corresponding numbered flag at the site where each item was found. Later, we would identify each piece and label them on individual index cards. I heard the familiar exclamation of my good friend, Mary Shafer. She was yelling, "Silver! I got silver!" 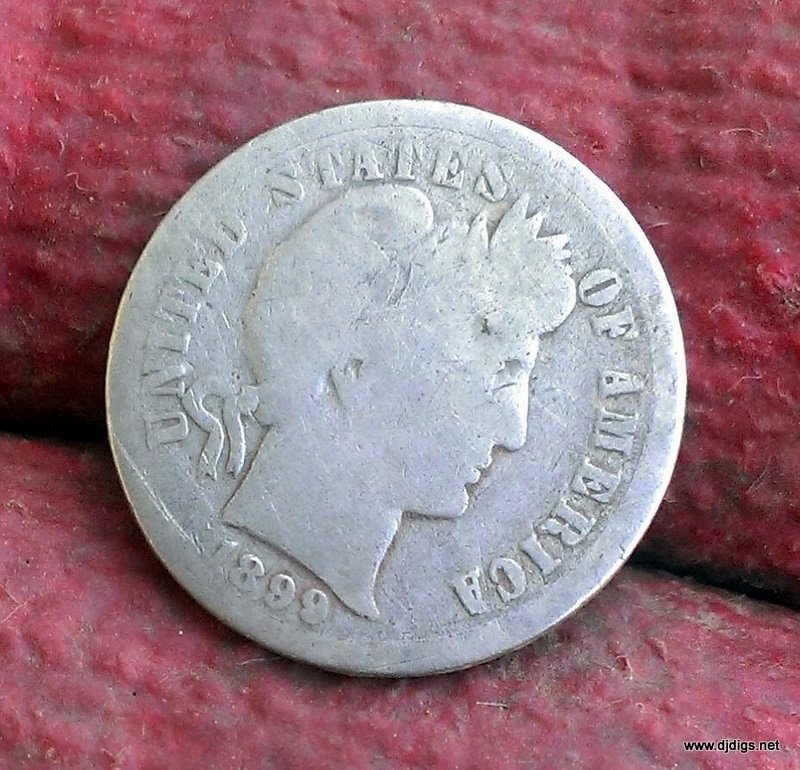 She turned up an 1899 Barber dime - the first silver of the day. 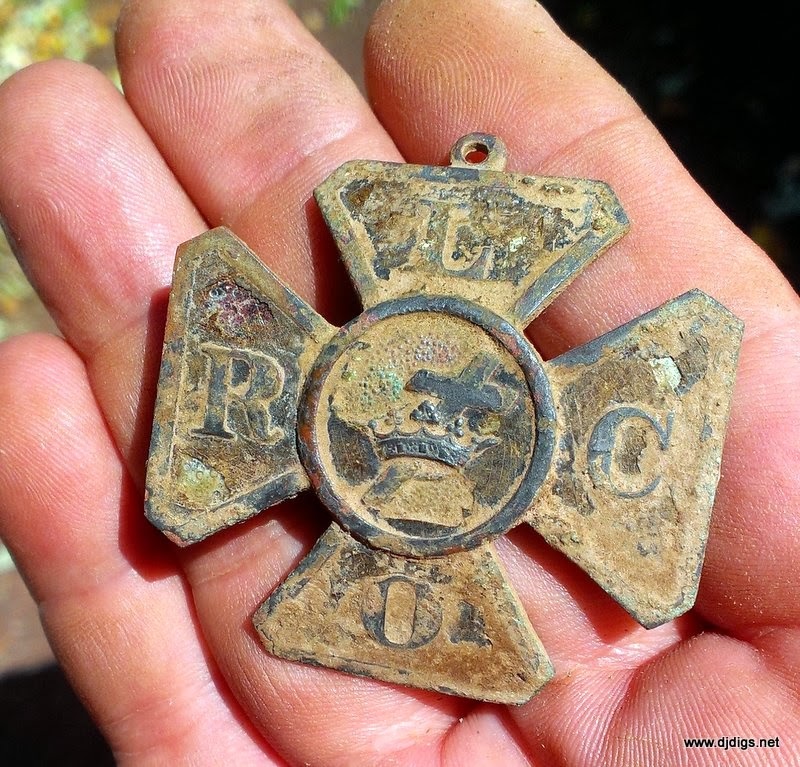 Paul Baldwin found a really cool iron cross medallion. It hasn't been positively identified yet, but it has initials and a cross going through a crown. 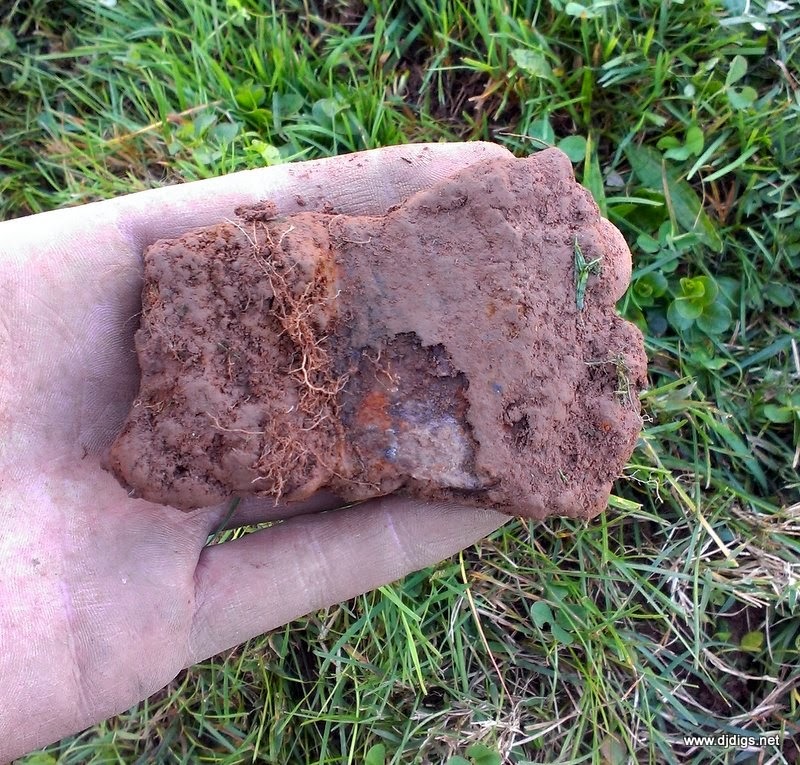 So, I re-dug the same hole and found the matching cuff button. Overall, today was awesome. I'm pretty sure everybody had a really good time on this hunt. 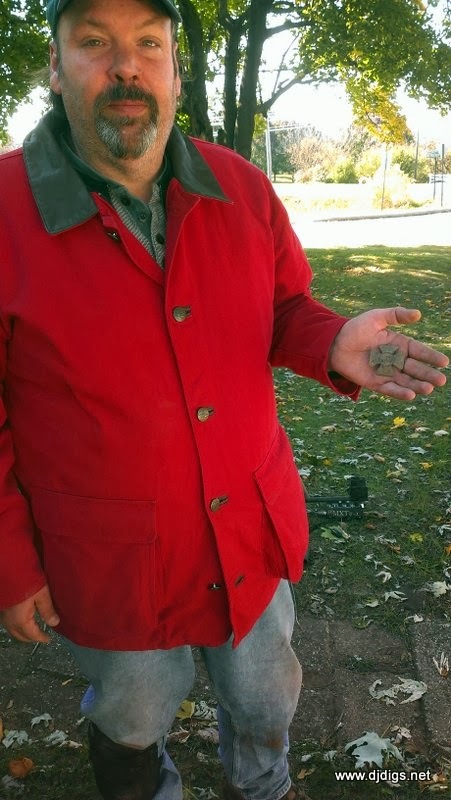 A bunch more was found - including a dandy button and an 1893 Indian head penny by Mary Shafer, and a dateless Indian head penny and a few pewter spoons by Jim Bongiovanni. Bill Beers found a really cool old toy rifle mechanism (the lever action part of it). The first hunt of the History Hounds was a great experience. It was so fun to meet up with everyone. Today we had great fall weather and we found some great items. It was fun to give back. I was glad to help out and of course, I need to give a big thank you to the historical society, and to Bill Beers for making today's hunt happen.